A holiday wouldn’t be a holiday without a decent dose of culture. You can’t just sit in your hotel room binge-watching Netflix! We’re all about embracing things with open arms—feasting our eyes on stunning art, learning about local history and eating our way through ALL the food, obvs. There’s no need to jet off to Paris’ Louvre for your cultural fix. Just a short plane ride away, Auckland is brimming with galleries, tours (specifically cocktail tours), festivals and everything in between. With more than 200 ethnic communities calling Auckland home, this is diversity at its finest. To discover what makes this city so unique, we teamed up with Auckland Tourism for an insider’s look. As it turns out, giant pink snails are just the beginning. We’re putting it out there: Auckland is a sculpture wonderland. Giving Sydney’s Sculpture by the Sea a run for its money, New Zealand’s largest city is brimming with striking sculptures. Head north to Brick Bay Sculpture Trail in Matakana’s beautiful wine region. Here you’ll also stumble upon newly opened Sculptureum with three sculpture-filled gardens, six galleries and an all-important vineyard. Have your Instastory at the ready because the vibrant pink snails are totally selfie-worthy. There’s no shortage of cultural celebrations in this vibrant, multi-cultural city. Regardless of when you visit, Auckland has an epic year-round festival game. 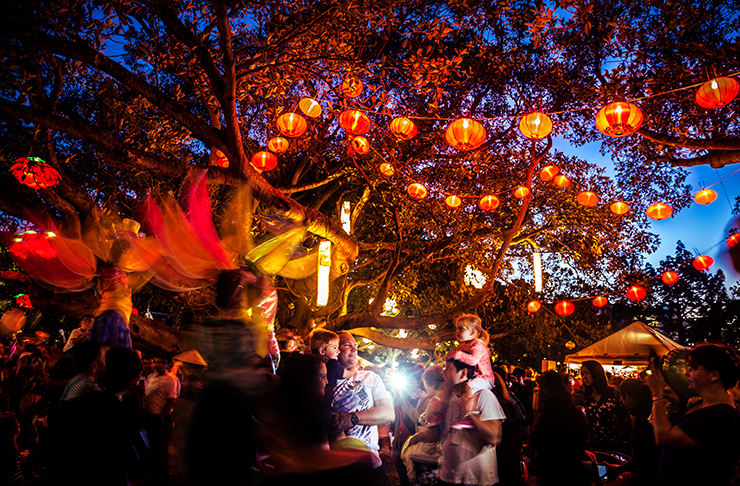 Immerse yourself in Chinese culture (because, dumplings) at Auckland Lantern Festival in March, eat ALL the curry at October’s Diwali Festival and channel your inner-Moana at Pasifika in March. The city’s jam-packed event calendar also includes ASB Classic, St Jerome’s Laneway Festival, Sculpture on the Gulf (even more sculpture!) and our pick of the lot, August’s oh-so scrumptious Restaurant Month. Find out what’s on and book your trip accordingly. If there are two things we love, it’s a) dumplings and b) cocktails. Luckily, Auckland understands the dumpling (and cocktail!) obsession is real with some mouthwatering tours. Eat Auckland’s dumpling tour showcases the Chinese delights of Dominion Road, stopping at six restaurants across three hours. Need something to wash those dumplings down? Drink your way around the city with Unique Tours’ unmissable cocktail tour. But let’s be honest, you can’t spend your entire trip eating. Instead, hit up Kiwi Connect for a bespoke eco tuk tuk tour or zoom around North Shore’s volcanic cones with Magic Broomstick’s segway tours. Toru Tours are also only too happy to teach you about Auckland’s Maori culture and history. Nope, we’re not talking about a museum about a volcano. We’re talking about a museum on top of a volcano. Perched on an extinct (thank goodness) volcanic cone, Auckland Museum showcases world-class exhibitions as well as Maori cultural performances. Stick around to take in the amazing views of the Waitemata Harbour and beyond. Ocean nerd? Be sure to visit the fascinating New Zealand Maritime Museum. If your perfect day involves wandering galleries, you’ve come to the right city. Head to the quirky precinct of Karangahape Road (aka K’ Road) where you’ll find vintage clothing, cuisine from all corners of the globe and—your guessed it—contemporary art galleries. Starkwhite features the photography of Fiona Pardington (the first Kiwi to be named a Knight in the Order of Arts and Letters by the French Prime Minister) and internationally praised Billy Apple. 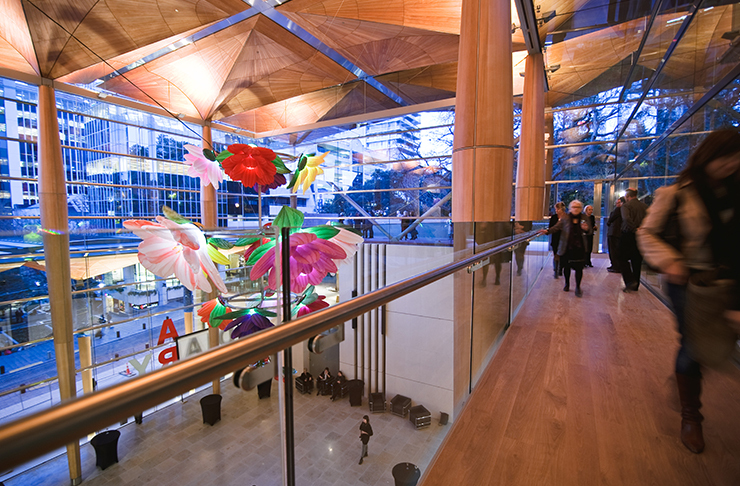 Other must-visits include the Auckland Art Gallery Toi o Tāmaki and Te Uru Waitakere Contemporary Gallery. The latter is conveniently located in Titirangi—the gateway to the West Coast’s famous black sand beaches. Art with a side of surf? Don’t mind if we do! Thanks to some incred local designers, New Zealand has cemented itself on the world fashion stage. The hip Auckland precincts of Britomart and Ponsonby are known for their boutique fashion stores with designs from Karen Walker, Deadly Ponies, Ruby and Trelise Cooper. If you love all things jewellery, lust over trinkets by Zoe & Morgan, Meadowlark and Stolen Girlfriends Club. Pro tip: arrive with an empty suitcase because you’ll be tempted into a shopping spree. For a cultural getaway like no other, book a short break to Auckland. There are giant pink snails calling your name! Editor’s note: This article is proudly sponsored by Auckland Tourism and endorsed by The Urban List. Thank you for supporting the sponsors who make The Urban List possible. Click here for more information on our editorial policy.